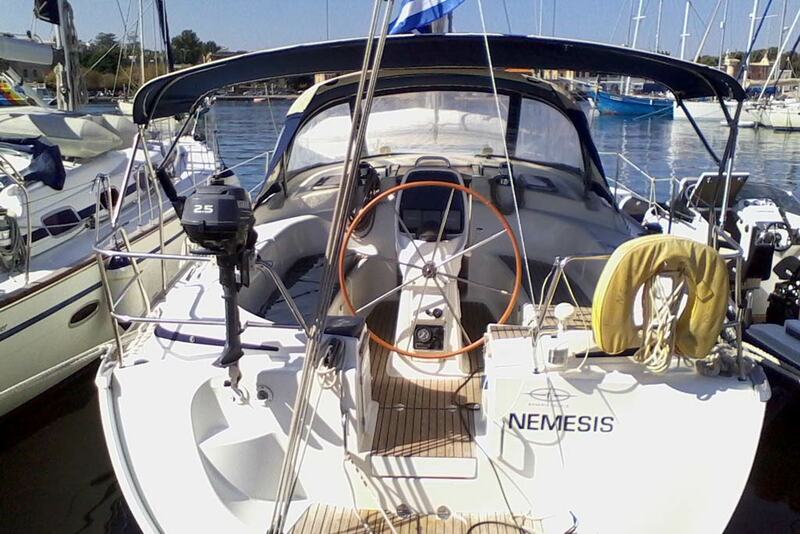 In Greek mythology Nemesis is the goddess of rightful wrath. 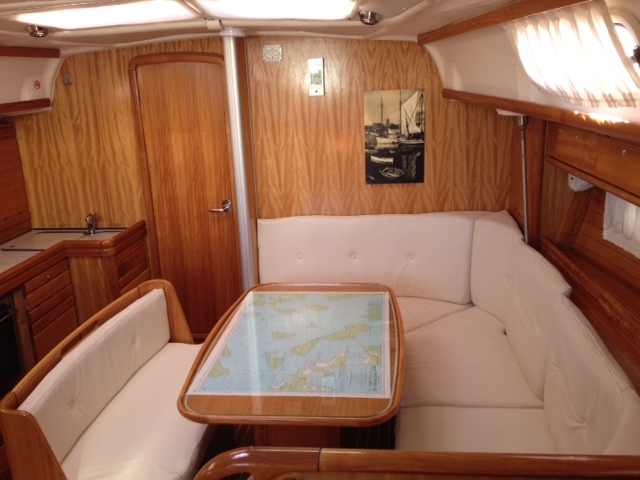 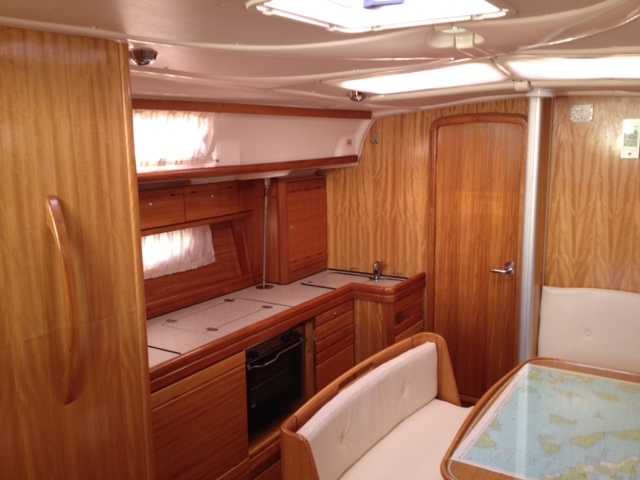 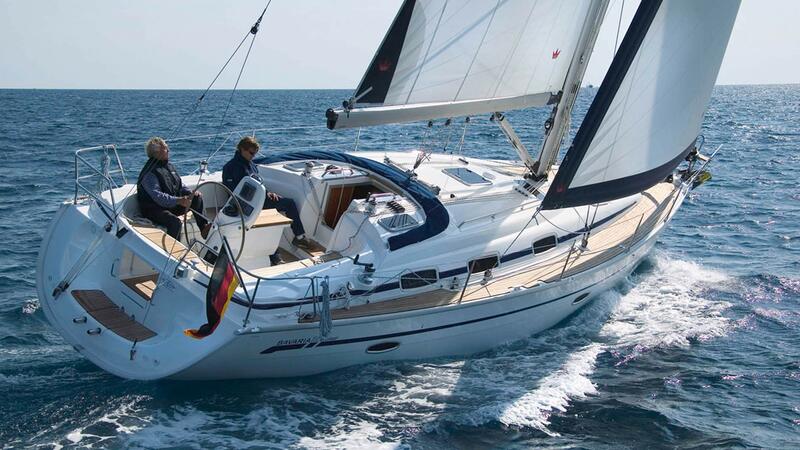 As one of our sailing yachts however she is a 2006 built Bavaria 39. 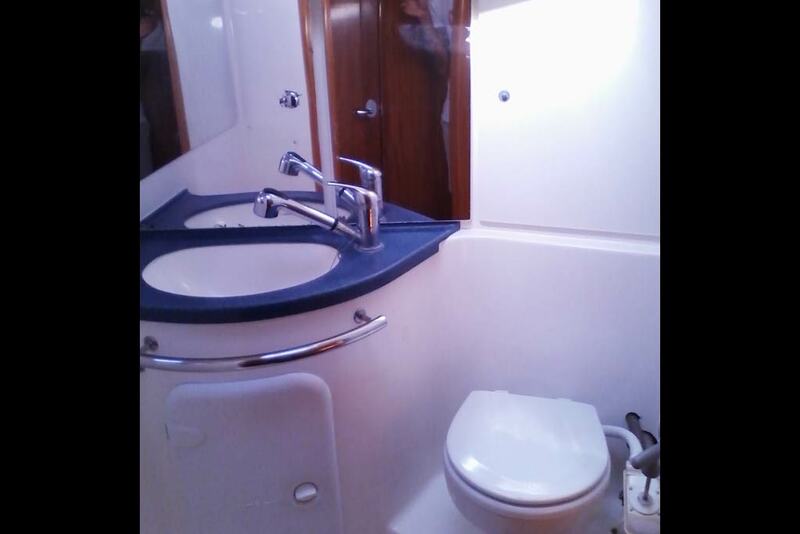 At a length of 12,35 m she has got 3 double cabins and 2 bathrooms. 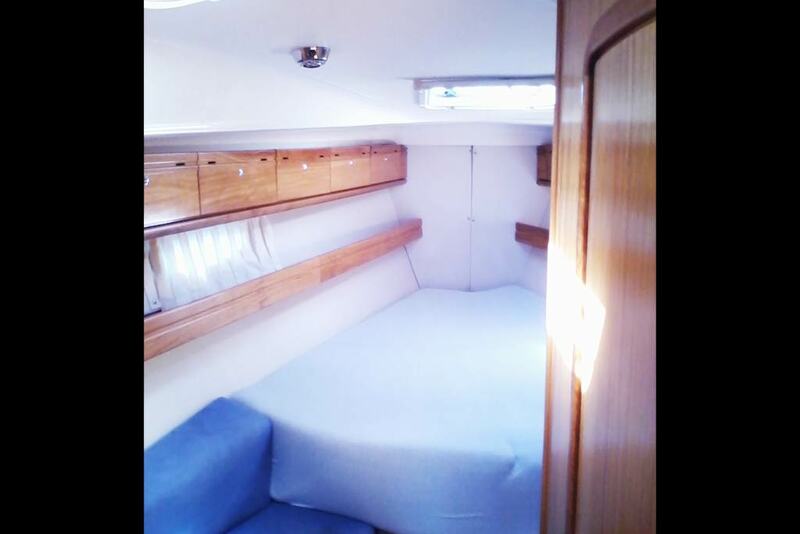 So there is comfortable accommodation for up to 6 people. 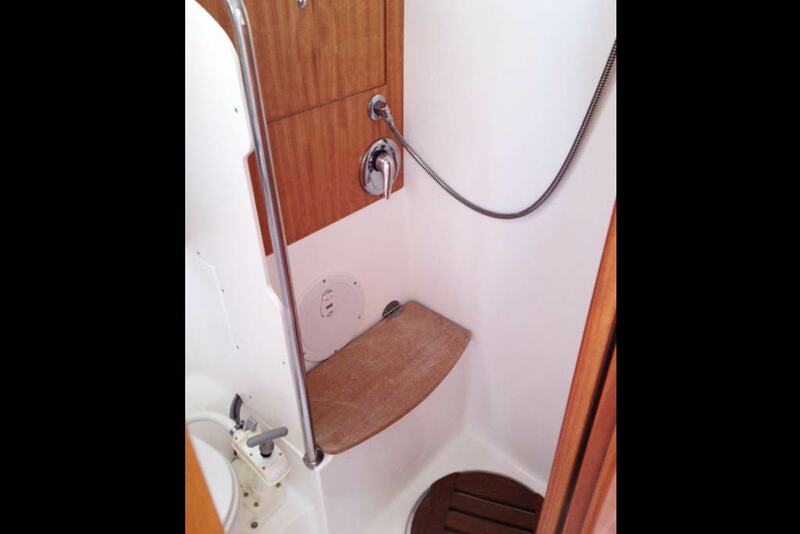 Roller main sail, roller furling genoa and electric operated anchor windlass stand for easy and comfortable handling. 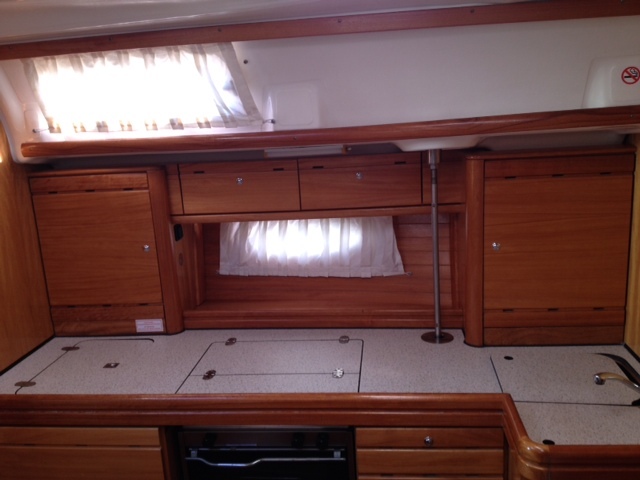 Naturally there are Spray Hood and Bimini Top, too. 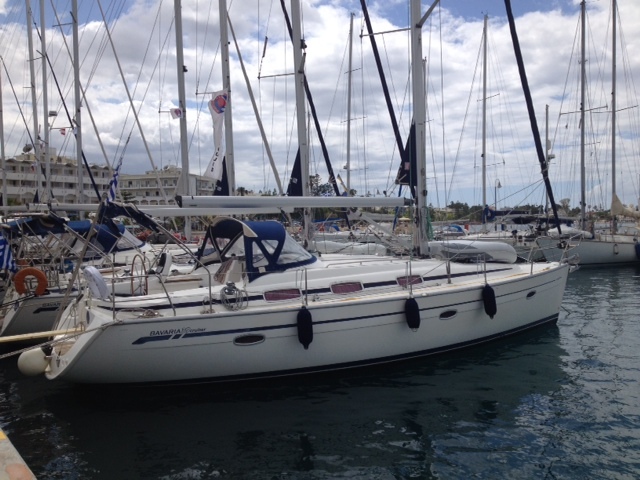 Dinghy and outboard engine are as good as new (2015) and the yacht herself is in a very good condition. 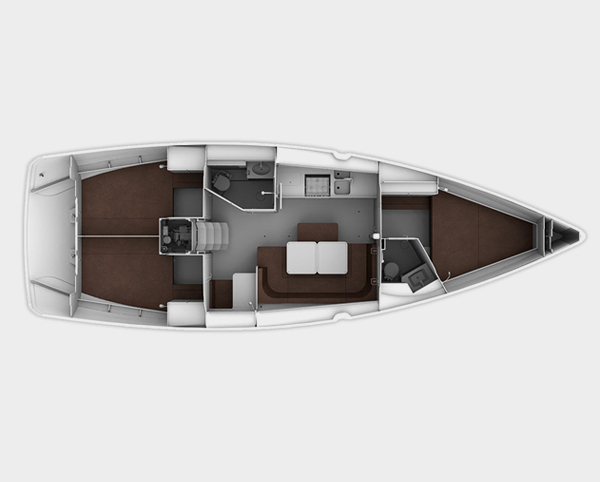 Due to a 55 HP engine and a 220l fuel tank you can get along at spanking speed. 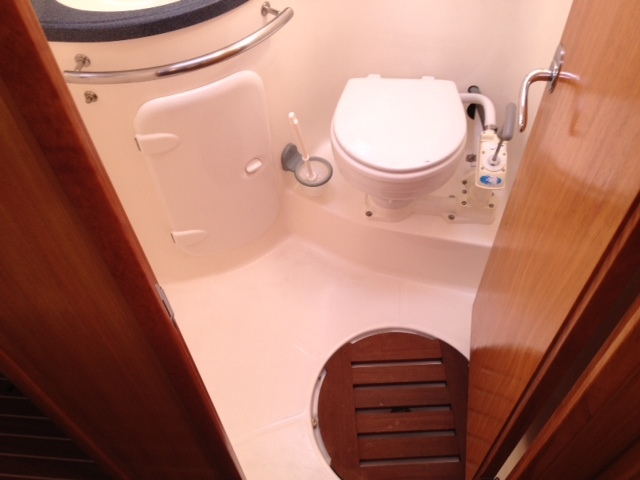 Further details can be found at ‘equipment’ and ‘specifications’.